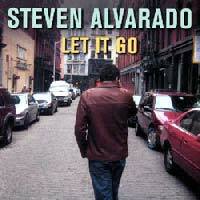 Steven Alvarado "Let It Go"
Steven Alvarado arrived in New York City seven years ago after a stint in Nashville and a childhood in Los Angeles. After releasing "Mercy" (Del-Fi) and "Bleed" (independently), Alvarado finally achieved breakthrough success on an international level with the 2005 release of The Howl Sessions. Alvarado switches emotional gears and takes an honest look at human relationships on his new 10-track set Let It Go. On "Let it Go", Alvarado draws on a lifetime of personal experiences, moving beyond the edgy religious and political commentary of his earlier works. In creating his "album about heartbreak," the singer has once again surrounded himself with some of NYC's finest. Playing on the record are guitarist Marc Ribot (Tom Waits, Elvis Costello, T-Bone Burnett, Sam Phillips), drummer Kenny Wollesen (Norah Jones, Rufus Wainright, Rickie Lee Jones), pianist Rob Burger (Beth Orton, Lucinda Williams, Rufus Wainright), and bassist Joe Quigley (Shawn Colvin, Lisa Loeb, Syd Straw). Let It Go, is already gaining momentum in the press. USA Today (a major national American newspaper) picked it in their top 10 favorites. Steven is also a featured artist in the April music issue of The Advocate (a major national American magazine) along side the legendary Bob Mould. And Pro Sound News (an important U.S. music trade magazine) did an extensive interview with him in their February issue about the recording process of Let It Go. The video for the single "It's For You" made the top 10 on MTV/Logo and is in regular rotation on VH1.com. 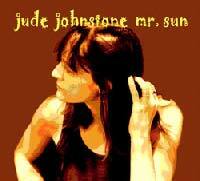 Jude Johnstone's new release: "Mr Sun"
There is an intelligence and sophistication to Jude Johnstone’s music that makes her stand out. Nowhere are these attributes more evident than on Johnstone’s fourth CD “Mr Sun”, to be released on BoJak Records September 16. “Mr Sun” continues with the jazzy/blues musical rhythms found in her last project “Blue Light”, while maintaining her trademarks of emotional depth, passionate vocals and haunting melodies. Johnstone’s level of artistry continues to grow with “Mr. Sun”. In the creative atmosphere of Mad Dog Studios in Burbank, CA, while recording “Blue Light”, Johnstone’s inspiration intensified creating a flood of new songs, which became “Mr Sun”. The chemistry of working with these compelling musicians motivated Johnstone to record the new songs immediately. Musicians David Piltch (upright bass), Danny Frankel (drums, percussions), Freddy Koella (guitar), and Marc Macisso (sax) who worked on “Blue Light”, remained for the recording of “Mr Sun”. In addition, premier musicians Dean Parks, Mark Goldenberg (both on guitar), Jon Ossman (upright bass), Daniel Savant (muted trumpet, flugelhorn) and background vocals by Stephen Bishop and Maxine Lewis topped off a select group of performers that contributed to these recordings. Johnstone was the producer, played keyboards, chimes and wrote all the songs. 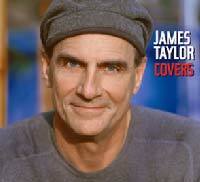 The long awaited new James Taylor record "Covers" will be released on Hear Music on September 30, 2008. "Left of a dream", Jeff Larson's new cd! 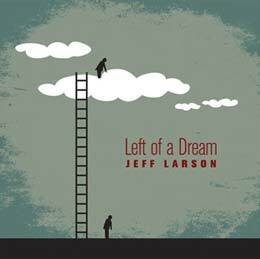 Northern California singer/songwriter/guitarist Jeff Larson offers an outstanding new album "Left of a dream". With a smoothing voice, sweet sound, awesome acoustic guitars, intelligent lyrics and lush harmonies, Jeff Larson makes this new release highly recommandable. "Left of a Dream" features 14 new songs. Guests include Gerry Beckley and Dewey Bunnell of America, Jeffrey Foskett and Hank Linderman. To notice a nice artwork cover designed by Dirk Fowler. 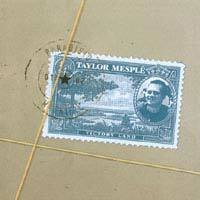 "I recently discovered Taylor Mesple with his 2005 album "Victory Land" and wanted to share with you my enthusiasm regarding this beautiful record. I LOVE every songs, and the quality of the music must explain "Victory Land" is now "hard to find". For me, the vocals are very important. They give the essence of the song. If you like smooth/folk melodies and voices in the vein of artists such as Richard Page and Richard Marx, I really recommand you to listen to this album which is available for download at cdbaby.com and Itune." Taylor Mesple is involved in the art and business of music from almost every angle. As a producer/engineer, he owns InnerCircle Productions - a top level recording/mixing facility and a gateway to great producers across the US. He has produced numerous CD’s and singles for artists ranging from Folk to Rock to Jazz to World music. As an artist, he has released solo records featuring some of the world’s finest musicians such as Abe Laboriel, Jr., Howard Levy, Peter Mayer, Mel Brown and Tim Pierce. These solo recordings are very diverse, ranging from contemporary jazz to westcoast pop to new folk. As a sideman, he has played keyboards/piano/accordion/vocals with legendary artists such as James Taylor, Keb’ Mo’, Phil Keaggy and Bill Chinnock. As a presenter of music, Taylor owns The Maple Room in Lewiston, Maine and also Old Port Records, the label for Irish pop phenomenon Shane Butler among others. Taylor is President of the Maine Songwriters Association, and a member of the Maine Film Coalition. For many artists who follow their heart’s desire, the roads that lead to the promised land of musical success can be long and winding. Looking back on the road that Robbie Dupree has traveled, he’s found that he’s been one of the “lucky ones”. From his tough beginnings in Brooklyn, to his Top Ten hits, 'Hot Rod Hearts' and 'Steal Away', which earned him a Grammy nomination in the early 80’s for Best New Artist, you’ll find that Robbie's career has been a wonderful journey that has crossed paths with timely opportunities. His newly released CD entitled 'Time And Tide' is a product of his high standards in writing, engineering and musicianship. He also has surrounded himself with musicians who he’s worked with over the past years - David Sancious, Larry Hoppen, Leslie Smith, Rick Chudacoff, and Peter Bunetta – all excellent musicians in their own right. Robbie Dupree has definitely reached his promised land, creating music on his terms. 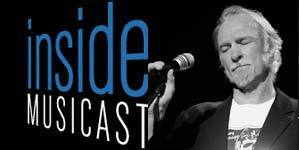 Inside MusiCast welcomes Robbie Dupree. 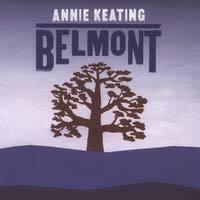 Keating’s new release, “BELMONT” is songwriting at its purest. Tough and tender, the twang infused songs tell stories of hope and struggle with a refreshing honesty, grit and timelessness. The Village Voice raves, "Keating is a wise mix of Lucinda Williams songwriting, Gillian Welch guitar and a vocal all her own… her style invokes a cross between Willie Nelson and John Prine and you don't get any better than that.” You don’t get any better than that. Having grown up near BELMONT, Massachusetts (where she learned to play guitar from a childhood friend) Annie landed in New York City and there began a decade of activist work. Though she never stopped writing songs, Keating spent years fighting for civil liberties, environmental justice and reproductive rights causes before finding her way back to recording and performing. In the last few years, she’s made up for any lost time with inspired albums. On her third independent CD release Keating has arrived as an international songwriting force. “BELMONT” is a big slab of pure, organic Americana/roots song writing that has captured ears and minds worldwide. 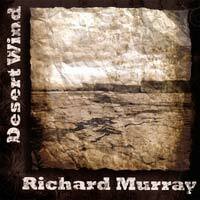 Richard Murray presents his first album "Desert wind"
Irish-born singer/songwriter Richard Murray has, after years of working with almost every species of band and artist around, finally released his first album of original material. His rich history as a formally trained session musician and producer has served his songwriting well. This, along with his wide-ranging influences and experiences, has helped to create an edgy, provocative album imbued with dynamic sound and imagery. Richard is currently promoting Desert Wind and continuing his work with other artists. 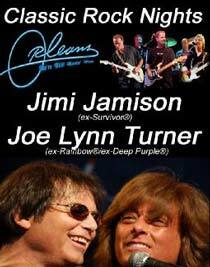 Classic Rock Nights 2008 with Jimi Jamison, Joe Lynn Turner and Orleans. For the very first time in september 2008 the Classic rock Nights 2008 happens in Germany and in The Netherlands. One concert with three top artists and countless Top-Ten-Hits which never happened in Germany before. Doesn't matter if as Orleans + Friends or as Rock & Pop Masters (RPM), in the USA this combination had tremendous success and is well known for top performances in the most of the american states. Jimi Jamison, the legendary former Lead -Singer of the band Survivor returns to Germany! "Eye of the tiger" and "Burning Heart" from the Rocky Movies and the Titletrack "I'm always there" from the worldwide n°1 tv-show Baywatch are well known. After the split with Survivor in 2006 Jimi Jamison will release his new solo Album in fall of this year. Joe Lynn Turner, the former lead-singer of Deep Purple and Rainbow had much success within the last years with his releases of the solo albums "Sunstorm" and "Second hand life"
Orleans, the American Rock-Legend will perform the first time in Germany. The US Top Ten Hits "Dancing in the moonlights", "Still the one", "Dance with me".... doesn't have to be explained more. Christene Ledoux presents her new album "Dust 'n' branches ... songs from a wanderer"
Recorded in record time - six days - in the Spring of 2008 with Austin, Texas friend & renowned Grammy-nominated producer/engineer Mark Hallman (Ani DiFranco, Shawn Colvin, Gretchen Peters & Carole King amongst others) nestled in a cozy house on the outskirts of Austin, Texas - Christene Ledoux's highly anticipated latest full-length CD, "dust 'n' branches ... songs from a wanderer" has arrived! A Telluride Troubador Finalist, Falcon Ridge Folk Festival Finalist, Rocky Mt. Folks Festival Finalist, Founder's Title Folk & Bluegrass Festival Finalist, USA Songwriting Award winner, Billboard Songwriting Award winner, Performing Songwriter Top 12 Pick and chosen amongst the UK's Top Maverick Magazine as Ladies Choice to name a few, Christene's down to earth approachability and heart-warming songs are quickly winning the hearts of both fan and industry alike across the globe. Although reminiscent in some ways to folk icons Nanci Griffith, Patty Griffin & Kate Wolf and with a voice often compared to that of the late Eva Cassidy, it's not to be mistaken that Christene's voice, songs and show are all her own. Christene has, as a many folk singers before her, lived hard and traveled far, earning each mile and tale as only a wandering minstrel can do. Living everywhere from California to Arizona, Alaska to Connecticut, Colorado to Tennessee, Texas to London, on the roads & in the campgrounds of the US in her Ford truck & Airstream trailer and now the alps of Innsbruck, Austria - Christene is a gifted storyteller, mesmerizing singer and possesses some of the best songwriting out there. Watching Christene perform live is like spending time with your closest friend. Her ease with her audience is alarming ... her stories both funny and tragic and just when you think you know where it's going, she takes you from tears to laughter in a matter of minutes. 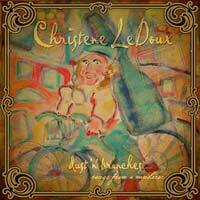 Arthur Jefferson of 'San Francisco Art Magazine' put it best when he wrote, "The lyrics of Christene LeDoux are so clear and vivid that with each note and tone she emits, a detailed form seems to take shape in our minds. To call LeDoux a storyteller is to understate her skills. She is an artist creating exquisite imagery through song. Her entire performance was pure art, her voice of angelic purity. Through every song the crowd was entranced, the aura of their love and appreciation a palpable presence in the club. This is what the experience of music is all about."